Our next meeting is Friday April 12th, 2019. If you are interested in DX'ing feel free to attend! The W2 bureau handles incoming QSL cards for amateurs with a U.S. 2nd district callsign. (K2, W2, N2, etc). To receive incoming DX QSL cards via the bureau you will need to purchase credits. To purchase or add credits please click on the link below. NJDXA will be hosting VE sessions on the second Friday of the month. Our next VE session is Friday April 12th, 2019 at the Morris County Public Safety Training Academy in Morris Plains, NJ. VE sessions start at 7:00 P.M. To contact us or for directions please click the button below. 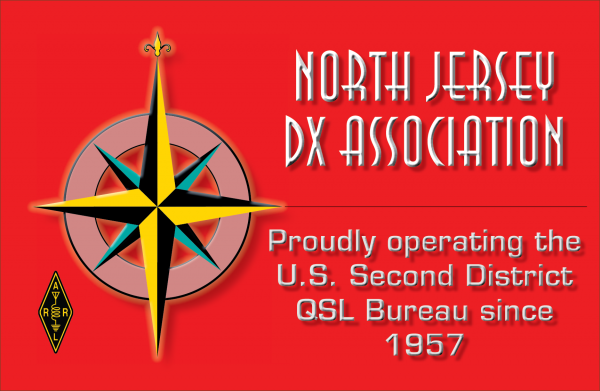 The next meeting of North Jersey DX Association is Friday April 12th, 2019 at 8:00 P.M. Meetings are located in room 139 of the Morris County Public Safety Training Academy.